It is impossible to be sufficiently lavish in praise for the third of Simon Moore’s definitive compendia on Alfa Romeos, The Magnificent Monopostos. 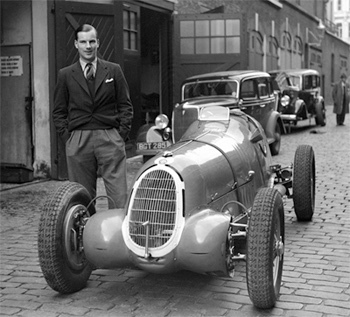 Simon set himself a daunting task twenty-eight years ago of presenting the histories of Alfa’s greatest automobiles, the 8C 2900, 8C 2300 and finally the pre- and post-WWII GP cars when he and Malcolm Harris issued the first book, the exhaustively researched The Immortal 2.9. Two-Nine was an appropriate place to start. Built in limited numbers over a span of just a few years, the subject was tightly defined and limited to a series that had always been cherished by the few lucky and determined individuals through whose hands they had passed. 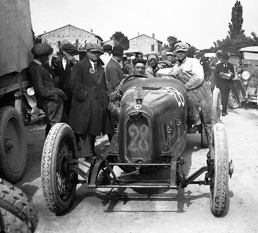 The next in the series, the 3-volume The Legendary 2.3 was more ambitious, by at least an order of magnitude, with many more cars that had endured much more checkered careers. 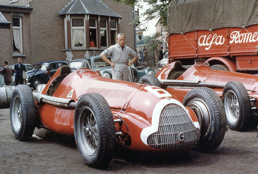 The monoposto GP cars were even more ambitious, by the very nature of ambitiously campaigned race cars that were frequently wrecked and often expediently prepared with bits and pieces from available resources over long competition histories scattered across several continents. As with the previous two histories [and the 2008 revision of Two-Nine ] Simon approaches the frequently ambiguous histories of his subjects and the minefield that self interest presents, with candor, good humor and careful documentation. Much of the refreshingly readable and entertaining text consists of lengthy quotes from owners, restorers and period sources, particularly race accounts. Throughout the book each turn of a page reveals marvelous, well documented, entertainingly and informatively captioned photos, frequently showing the progression through individual chassis’ histories. The photography is – as is the rest of the book – beautifully produced, and often in full-page size that demonstrates the quality of the lenses and black and white film emulsions employed by photographers in the period. Mal Harris’s Editor’s Foreword makes apologies for the efforts to repair surviving photos; none are necessary and the result is a triumph of visual pleasure. 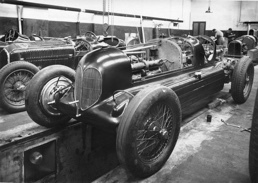 These cars are frequently mysteries with major components swapped back and forth in order to make a race date, not to mention numbers swapped to make entry papers correspond with the cars that were presented at scrutineering. What is remarkable, and commendable, is that Moore treats certainty and ambiguity with clarity and consistency. Those readers accustomed to the embellishment and innuendo of auction catalogs, or the self-interest of dealers and brokers, will find in The Magnificent Monopostos a refreshing clarity that sets a standard for others to strive to emulate. In summary, every page is an adventure. 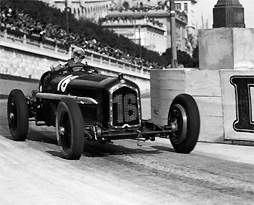 Even flipping randomly through the book [its 835 pages are far to voluminous to devour at even several sittings] it is impossible not to get caught up in the tales of great drivers, legendary races and the vicissitudes of the cars’ long and intricate histories. This – along with The Immortal 2.9 and The Legendary 3.2 – sets the standard by which other marque and model histories shall be judged. It is no over-priced, over-produced coffee table book of glamorous photography without substance, as so many feverishly promoted books are today. It is a work of serious scholarship lightened by informal, honest, readable and comprehensible text. Although, to be fair, the visual history of cars, drivers, races, race shops and subsequent chassis histories is worth the not inconsiderable price all by itself. 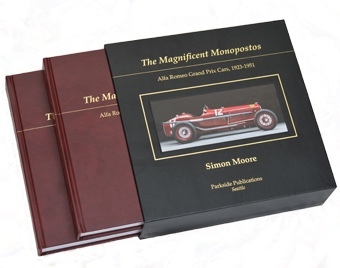 The Magnificent Monopostos is available directly from Simon Moore. Priced at £325, arrangements have been made for remittance in US$. Inquire at gpalfabook@gmail.com. It isn’t inexpensive but every $ or £ it costs will return dividends in reading enjoyment and knowledge. Saving my pocket money for what sounds like yet another superb study by Moore.